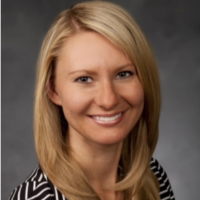 Olga Stoddard is an Assistant Professor of Economics at Brigham Young University and a Senior Research Partner of Science of Diversity and Inclusion Initiative. Her specialty is behavioral economics with a focus on labor markets and the economics of diversity and inclusion. She studies means to attract women and ethnic minorities to traditionally male-dominated fields, such as business, STEM, and politics. She has worked with various firms and political organizations to identify and test ways to increase opportunities for underrepresented groups. Olga’s prior and ongoing work focuses on understanding the effects of diversity interventions and policies on recruitment and retention of minority employees as well as measuring the effects of gender composition of work groups on women’s participation, influence, and labor market outcomes.